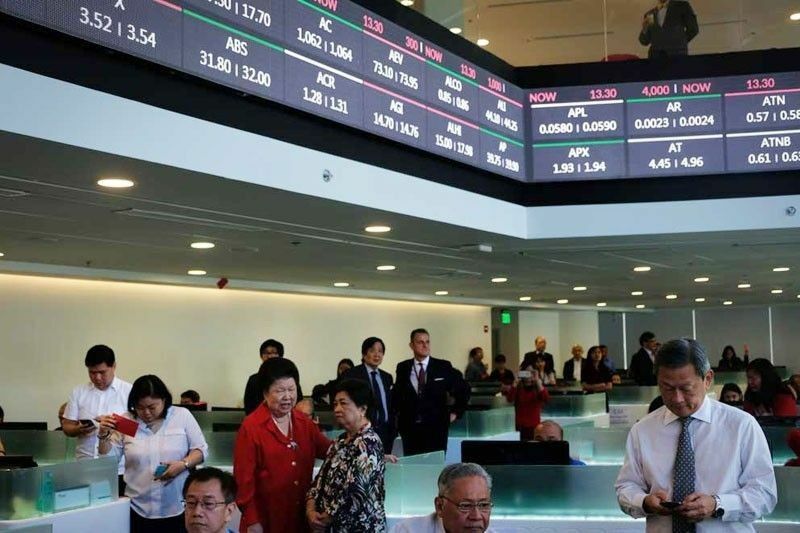 MANILA, Philippines — The benchmark Philippine Stock Exchange index (PSEi) closed in negative territory yesterday, finishing below the 7,000 mark again even as it performed well during the early morning trade. The PSEi ended at 6,926.51, down 78.26 or 1.11 percent while the broader All-Shares index dropped by 25.22 points or 0.58 percent to end at 4,276.58. All sectors closed in the red except for the mining and oil. He noted that the index traded in the green for most of the day before this – possibly on optimism from the recovery of US markets last Friday night. However, net foreign selling notably remained elevated with P738 million, slightly higher than last Friday’s P721 million. Jollibee Foods Corp. (down 4.6 percent), Globe Telecom (down 4.3 percent) and Universal Robina (down 3.4 percent) recorded the largest losses of the day. Globe had the third highest net foreign selling figure of P73 million. On the other hand, JG Summit (+3.2 percent), Megaword (+1.7 percent), and GT Capital (+1.4 percent) were the biggest gainers.